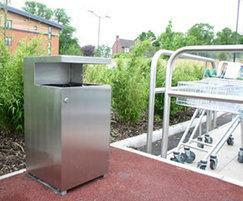 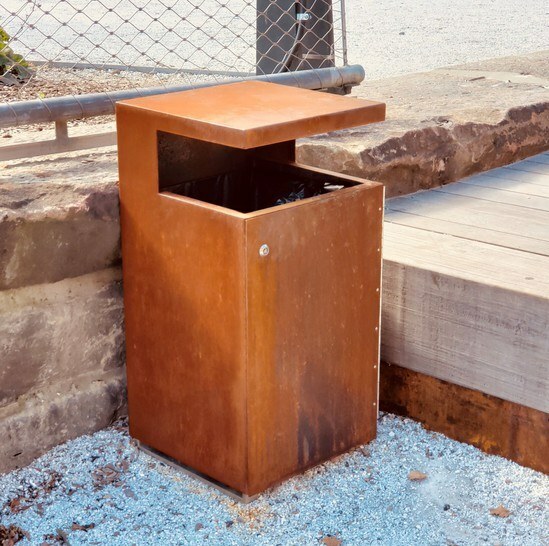 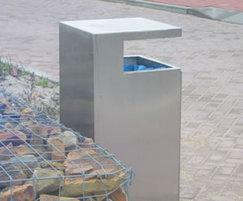 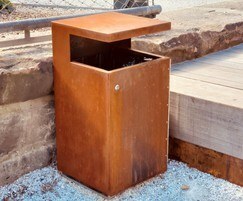 SKOP is an extremely heavy-duty bin in 3mm stainless steel. 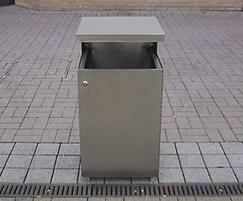 It has a front-opening door and a galvanised steel liner with an impressive 90 litre capacity. 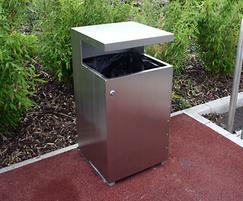 SKOP is an extremely heavy-duty bin in 3mm stainless steel. 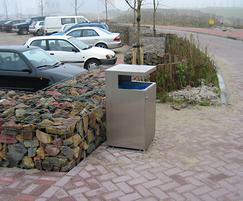 It has a front-opening door and a galvanised steel liner with an impressive 90 litre capacity. 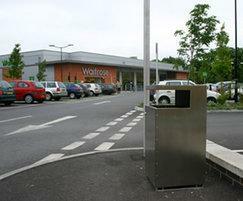 Feature sites: Waitrose; Alleyns School; Westfield Centre, Derby.